Cheer me up with your car fantasy. Your dream car and when/where you would want to be driving it. 1. Your dream car should be aspirational, but not wildly so. Car price should be less than 3x your most expensive car purchase to date. 2. The car should be model 2000 year or later, and should be/have been available for purchase in the USA. 3. No "my dream car is my 15 year old corolla held together with duct tape" posts allowed. Cadillac CTS-V wagon (manual) on the Blue ridge parkway in the fall, when all the cops have taken the day off. Last edited by Chan_va on Tue Jan 21, 2014 3:38 pm, edited 1 time in total. I am thinking a Jeep Grand Cherokee may be our next car. As discussed in a recent thread, getting a new car "Jones" is something I want to avoid. The Grand Cherokee has an entry height that would be acceptable to my 5' 2" tall wife. She does not like driving my 09 Silverado 4x4 pickup because it is hard to climb up into and too big for her. We need something with decent off road capabilities. My 2009 Silverado's GM Onstar module just went out. We had subscribed to Onstar and liked its phone abilities. The GM Dealership wanted $800 to replace the module or $200 to disable it. Warranty was only 3 years. We opted to disable it. Because of this, right now I have a bad taste in my mouth for GM even though I once worked for them and have their new car discount. I also can get a Chrysler discount which includes Jeeps. The Detroit auto show is going on right now, trying to tune out all the advertising. I actually owned an 09 version of the car, loved it. But a cross country move forced me to sell her so I'm biding my time before I can purchase one again. Maybe in 4-5yrs. The Blue Ridge is a fantastic place to drive btw. Assuming it has to be new, I'd have about $100k to spend. I'd probably be between a Nissan gtr and corvette z06. One that never needs maintenance, never breaks, and keeps itself pristinely clean on the inside and the outside. Quiet on the inside and with a decent sound system. Black BMW M6 convertible with cream interior. Driving along the beach in June from San Fran to San Diego, then back to LA and time myself on how quick I can make to Vegas. I have already ordered a Tesla Model S and will be a proud owner in Feb, 2014. Few years back, my dream car was Mercedez S 550 and I was biding on it. I missed the bids by few grands and then became aware about Tesla. I got really fascinated by it and am eagerly looking forward to Feb, when I will be driving a Tesla. If you are in the market for a luxury car (above 50K), I recommend looking at Tesla before making a decision. It is indeed a dream car. Audi A8 4.2 TFSI or W12. Nice looking car with a lot of comfort and power. I doubt I would have bought it though. It had to be if I won the lottery or something. Chan_va wrote: 1. Your dream car should be aspirational, but not wildly so. Car price should be less than 3x your most expensive car purchase to date. So.... when are you ordering it for me? Easy kill... Since college (when I first drove a friend's 6-y/o version), my dream car has been the BMW M3. Moderately reasonable & totally obtainable, but still a reach, and a whole heck of a lot of fun. I've driven 2 more M3's in the 7 years since, and every drive reaffirms my burning desire. His passenger seat is vacant. What a waste! livesoft wrote: One that never needs maintenance, never breaks, and keeps itself pristinely clean on the inside and the outside. Quiet on the inside and with a decent sound system. And I'll add to that, it is a self driving car that will drop me off where I need to be. Find itself a parking spot. Then pick me up right out front when I'm ready to leave. And the seats have to be really comfortable too, and heated. My dream car is to have NO car. I'd love to be able to use only buses, taxis, and my own two feet for almost all my local transportation needs. Mingus wrote: And I'll add to that, it is a self driving car that will drop me off where I need to be. Find itself a parking spot. Then pick me up right out front when I'm ready to leave. Glad the OP suggested restrictions to make the car somewhat within reach. In that category, I'd like a BMW M5 or successor. I could "afford" it, but I'd be financially irresponsible to buy it. Don't like attracting attention, and I want something that's practical to drive every day (gas cost notwithstanding). Even when I bought my modest Subaru Legacy GT, I had to wait to locate one without a (standard) spoiler. Actually I want a maid. Since there is a price cap, my dream car would have to be a Lamborghini Gallardo; you can find used ones around $100K-$120K. A car that could jam cell phones within a radius of 1,000 yards. Nice responses so far. 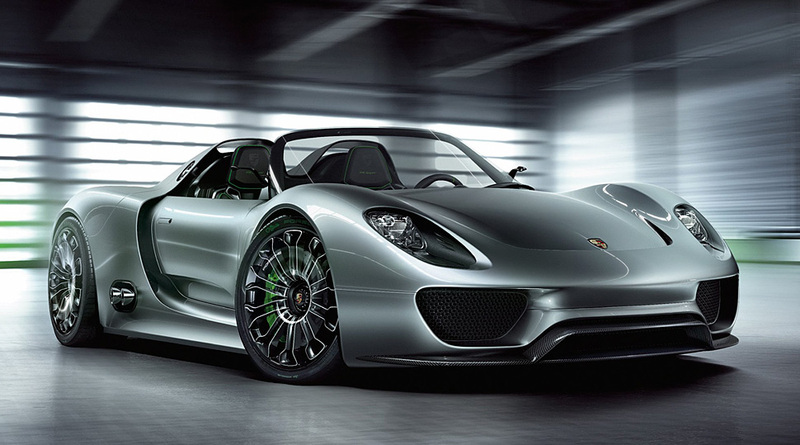 Victoria, I am pretty sure the Porsche 918 violates the 3x cost rule - unless you have a really expensive car right now. Sidney wrote: A car that could jam cell phones within a radius of 1,000 yards. You need a longer range. They'd all be shouting "Are you there?" and hitting redial instead of driving. I'd want to keep the mayhem just a bit further away. Chan_va wrote: Victoria, I am pretty sure the Porsche 918 violates the 3x cost rule - unless you have a really expensive car right now. When I lived in the Soviet Union, I had a car that cost about 5 times my gross annual salary. 15 times my current gross annual salary will go a very long way. MB S-Class or Lexus LS460. I have a thing for large luxury sedans. The top few that come to mind however are the Porsche Cayman (or Boxster maybe) and the Lotus Evora. When I lived in the Soviet Union, I had a car that cost about 5 times my gross annual salary. A Lada to a 918 is some jump . Only to be surpassed by the 2106(?) ZR1, when its released. I don't have a dream car. I'm as happy with my 2006 Element as I would be with anything. I do have a dream saxophone. A 1955 Selmer Mark VI tenor. Fortunately, I already own it. But it still haunts my dreams. Last edited by bottomfisher on Tue Jan 21, 2014 3:04 pm, edited 1 time in total. No "my dream car is my 15 year old corolla held together with duct tape" posts allowed. Ahh why not? What really turns me on is someone who keeps a car for over a decade and it still runs good. Not to hijack your thread, but as a Boglehead, I'm more turned on by Irv Gordon's 3 million mile Volvo, then some fancy showroom car. 1968 Bullitt Mustang replica with a small block sitting on modern suspension and brakes. I currently own a Porsche Boxster Spyder with a short throw six speed and A/C delete. 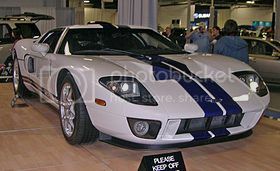 But if I had to pick a dream car within the parameters, I would also have to go with the Ford GT. It's about the only Soviet era car I've heard of! That's a downer. I was ready to defer to your parapsychological insights on the future market performance. Interesting how many gtrs, I like it as well. current pick is Aston martin vanquish, used if I play by the rules. I really want the new one in orange though. travellight wrote: Interesting how many gtrs, I like it as well. The GT-R is the Boglehead supercar. Great value, if any supercar can have great value. Last edited by Ged on Tue Jan 21, 2014 3:38 pm, edited 1 time in total. Audi S4- I have a thing for high performance sedans. I'm also a big fan of the new Audi Allroad, for those days I need to ski. I've never owned an Audi, but I'm told the repairs are quite expensive, so I'll have to factor that into the cost when/if I ever buy one. I want two. My fishing car would be a top of the line Land Rover. My around town car would be a Porsche Panamera V-8 Turbo. For you car aficionados, check out this comparo: http://www.motortrend.com/roadtests/sed ... omparison/. I don't think I've ever read a comparison test where one car won so handily. I owned a Porsche 911 for ten years. It will kill you if you let it. Plus, I can no longer subject my friends to the back seat. fishnskiguy wrote: For you car aficionados, check out this comparo: http://www.motortrend.com/roadtests/sed ... omparison/. I don't think I've ever read a comparison test where one car won so handily. Yikes - I think that $195,510 price tag puts me clearly out of the 3x rule! It's funny how different car styling appeals to different people. I browsed through the article, then looked at the pictures and instantly wanted the RS7. The Panamera is a beast, but 4-door Porsches still look odd to me. The Volga's were sort of cool too. I had a few week contract in the USSR during the Reagan era and we had a nice but basic Volvo 240 wagon to carry our stuff and run around in. The Russians used to drool over it! Considering the Panamera retails for $70k+ more than its competitors in that comparo, I sure hope it won. I as well think it is odd looking and my wife commented Sunday (after seeing one in our church parking lot) that it was one of the ugliest cars she'd ever seen. For me, GTR. Had the opportunity to drive a colleagues, but was afraid to take it over 35mph because he was in the passenger seat.